Park naturalists establish a connection between parks and the public. They educate park visitors, student groups, and others about the natural bounty, history, scientific opportunities, and ecological diversity of the country’s local, state, and national parks. Park naturalists develop presentations, hands-on demonstrations, and interactive programs that help audiences get familiar with the park, everything from its geological formations and plants to the creatures who make their homes there. Whether by visiting schools to demonstrate how beavers construct their dams and lodges developing an exhibit that allows visitors to explore a model of bird habitats or leading an overnight trip through the park, a park naturalist aims to get people interested in and excited about the natural world. 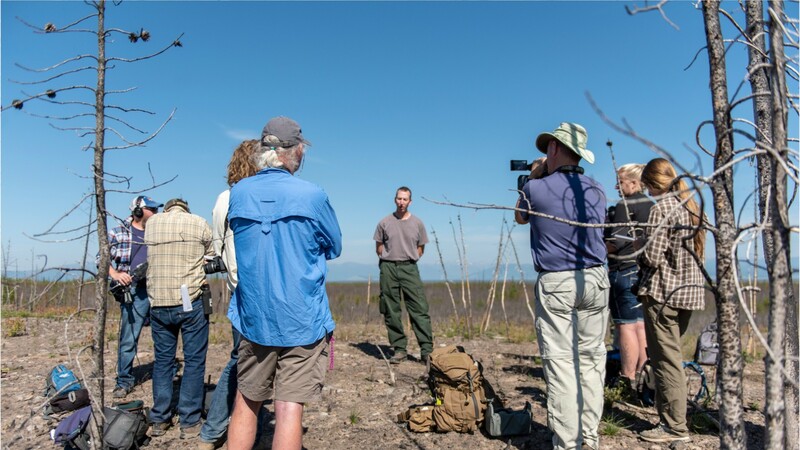 Naturalists must combine a passion for the environment with the presentation skills and public relations abilities that allow them to make a connection with the public. They answer many questions each day, explain regulations, and respond to emergencies in the park. Many naturalists rely on teaching experience to prepare them. Typically becoming a park naturalist requires a bachelor’s degree in environmental education or biology. Full-time work is not easy to come by and many naturalists start out as volunteer or seasonal workers. Conduct field trips to point out scientific, historic, and natural features of parks, forests, historic sites, or other attractions. Plan and organize public events at the park. See more details at O*NET OnLine about park naturalists. Park Naturalists by U.S. Department of Labor, Employment and Training Administration is licensed under a Creative Commons Attribution 4.0 International License.